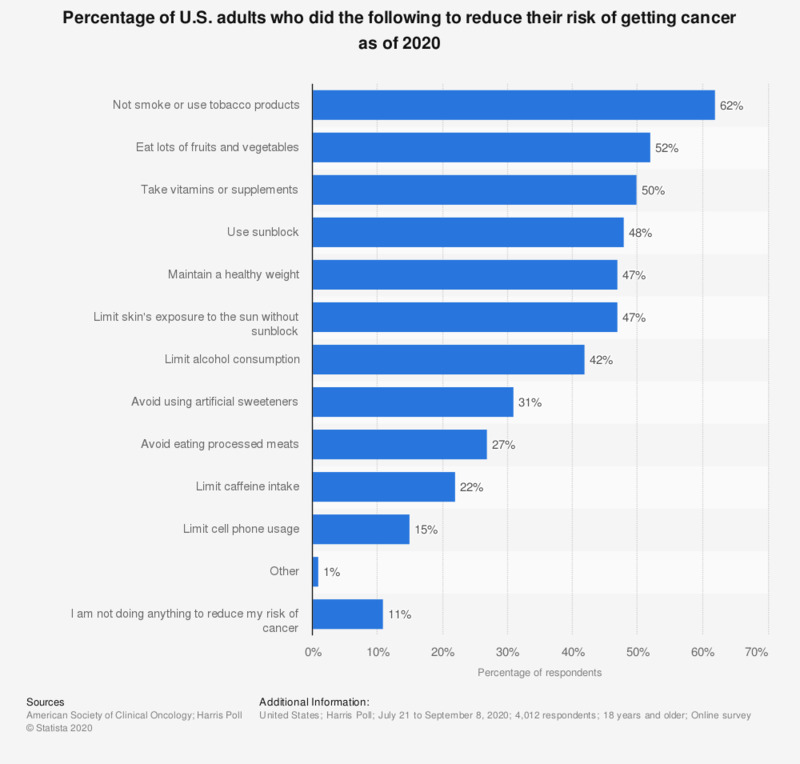 This statistic shows the percentage of U.S. adults who did the following to reduce their risk of getting cancer, as of 2018. It was found that 48 percent of respondents stated they used sun block to reduce their risk of cancer. Original question: "Which of the following describes what you currently do to reduce your risk of getting cancer?"